Integrase strand transfer inhibitors (INSTIs) have become the preferred first-line antiretroviral therapy in adults. There is paucity of published data on their use in children outside of clinical trials, particularly long-term safety and tolerability. This study aimed to describe INSTI use including the number of, and reasons for INSTI discontinuation. We conducted a retrospective cohort analysis by database and electronic record review of children aged under 18 years with perinatally acquired human immunodeficiency virus who started INSTI-based antiretroviral therapy between May 2009 and March 2018, in a single tertiary centre. Fifty-six INSTI-based regimens were prescribed in 54 children, 64.9% from 2015 onwards. Twenty-one of 56 (37.5%) regimens commenced with raltegravir, 29 (51.8%) with dolutegravir and six (10.7%) with elvitegravir. The median age at the start of treatment was 15 years (interquartile range 13.5–16.4) with a median duration of INSTI-antiretroviral therapy of 1.65 years (range 0.01–8.8). Twenty-four children had a detectable viral load at the start INSTI therapy; 20 (83%) achieving viral suppression in a median of 26 days (interquartile range 19.5–34.5). There were 26 discontinuations of INSTI-based antiretroviral therapy after a median of 183 days; 9/26 because of adverse events. Four of nine adverse events were attributed to INSTI use, all in patients taking dolutegravir and the adverse events were neuropsychiatric and gastrointestinal in nature. INSTI-based regimens were generally efficacious and well tolerated in this paediatric cohort, with 4/26 discontinuations due to INSTI-attributed adverse events. Further post-marketing surveillance of INSTI use in children is warranted. No sources of funding were received for the conduct of this study. The study was carried out as part of routine work. Yara-Natalie Abo, Erika Refsum, Nicola Mackie, Hermione Lyall, Gareth Tudor-Williams and Caroline Foster have no conflicts of interest that are directly relevant to the content of this study. The study was registered with the hospital clinical governance department, fulfilling research ethical requirements. No informed consent was required as only de-identified data were collected from patient records and no procedures or interventions were performed. UNICEF. Adolescents living with HIV: developing and strengthening care and support services. Geneva: UNICEF Regional Office for Central and Eastern Europe and the Commonwealth of Independent States (CEECIS); 2016. https://www.unicef.org/eca/sites/unicef.org.eca/files/2017-10/Adolescents_Living_with_HIV.pdf. Accessed 3 Jan 2018. Panel on Antiretroviral Therapy and Medical Management of HIV-Infected Children. Guidelines for the use of antiretroviral agents in pediatric HIV infection. http://aidsinfo.nih.gov/con-tentles/lvguidelines/pediatricguidelines.pdf. Accessed 2 Jan 2018. World Health Organisation. 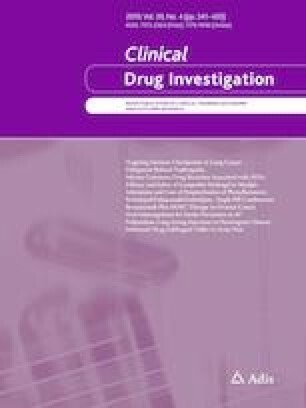 Consolidated guidelines on the use of antiretroviral drugs for treating and preventing HIV infection: recommendations for a public health approach, 2nd edn. 2016. http://apps.who.int/iris/bitstream/handle/10665/208825/9789241549684_eng.pdf?sequence = 1. Accessed 2 Apr 2018. National Cancer Institute, National Institutes of Health, U.S. Department of Health and Human Services. Common terminology criteria for adverse events (CTCAE) version 5.0. https://ctep.cancer.gov/protocoldevelopment/electronic_applications/docs/CTCAE_v5_Quick_Reference_5x7.pdf. Accessed 2 Apr 2018. UN Aids 2018. Undetectable = Untransmittable. Public health and HIV viral load suppression. http://www.unaids.org/en/resources/presscentre/featurestories/2018/july/undetectable-untransmittable. Accessed 26 Feb 2019.